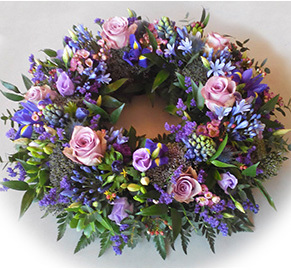 We believe that ALL funerals should be tailored made to each individual requirement therefore we will happily discuss all options and try where possible to fulfil our clients wishes. We believe we offer a very personal and caring service that is competitively priced. We can liaise with all denominations of the Clergy, Funeral Celebrants, Officiants and can advise on any special requests regarding the type of Funeral Service required. We will liaise with all parties involved in the care of the deceased including Hospitals, Doctors, Nursing Homes and Hospices. Our selection of coffins range from traditional to personalised in order to meet all personal beliefs and today’s ennvironmental feelings. Please see our Coffins & Caskets page for details. Hygienic treatment and attendances to the deceased are also considered to be very important by our company. The last time you saw a loved one may have been a distressing memory, perhaps in hospital or for the purposes of identification. In any event we believe that, in asking us to look after a member of your family, would like to be certain that the best that could be done for your relative has been done whether you wish to visit the deceased before the funeral or not. Relatives and friends often wish to visit the deceased and pay their last respects. We have a lovely peaceful chapel of rest for this purpose. We offer a selection of ashes caskets, wicker, solid wood and scatter tubes in a range of designs. Obituary and Acknowledgement notices in local and national press. 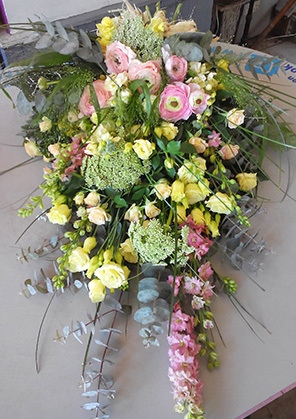 Floral tributes can be arranged at your request. 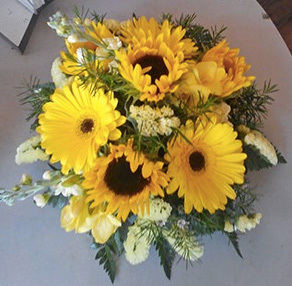 We have a close working relationship with local florists who provide floral tributes for many of our funerals. Traditionally family and friends will gather after a funeral. We can arrange a venue, liaise with Hotels, Caterers and Clubs with regards to menus and refreshments. 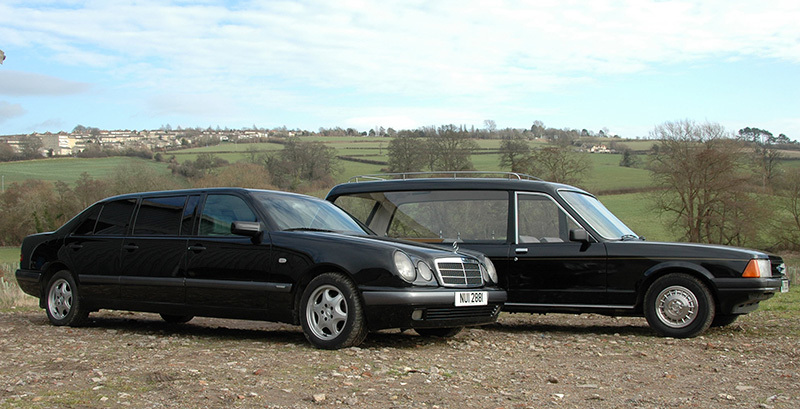 Limousines or advice on alternative transport from horse drawn carriage to motor cycle hearse. Please see our Transports & Vehicles page for details.